A group of Chicago Public Schools parents took their protest over education budget cuts to City Hall. 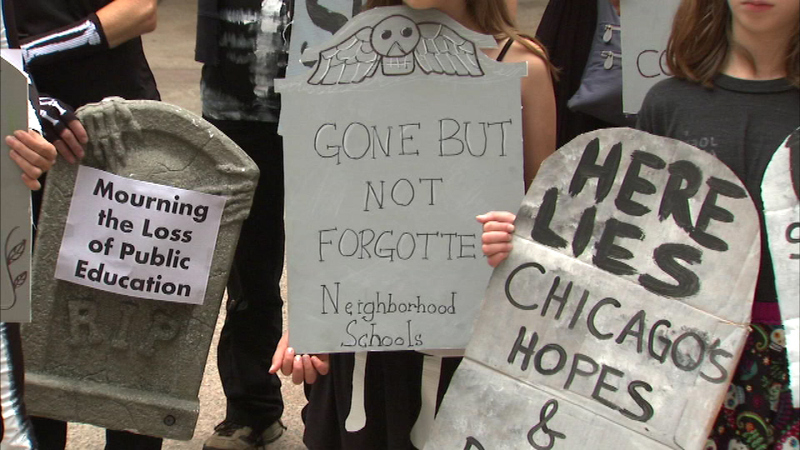 CHICAGO (WLS) -- A group of Chicago Public Schools parents took their protest over education budget cuts to City Hall. The parents say with bare-bones budgets, children are getting a bare-bones education. They're demanding city leaders stop handing over taxpayer money to private contractors and charter operators. "Class sizes are going up and up, and resources are going down. This cannot be a world class city if they continue to show reckless disregard for education funding they've shown so far," CPS parent Rachel Lessem said. CPS faces a more than $1 billion budget shortfall.